Store in a cool place. Avoid direct sunlight. Refrigerate after opening. 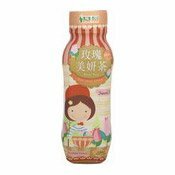 Simply enter your details below and we will send you an e-mail when “Rose Tea Drink (台灣玫瑰美妍茶)” is back in stock!